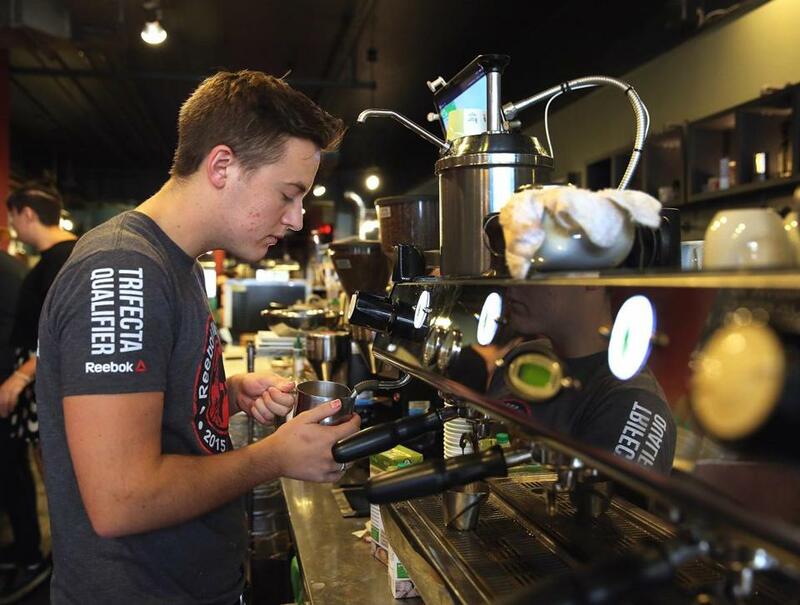 Taylor Buehler made a chai latte at Diesel Café, which in its 17 years in Somerville’s Davis Square has become a gathering spot for the neighborhood. Park and co-owner Tucker Lewis were just 21 and 29 years old, respectively, when they opened the cafe in Somerville’s Davis Square in 1999, and their inexperience showed: The lease on the large storefront on Elm Street cost more than they expected to earn. Inside, much of the equipment had been purchased with personal credit cards. Today, those early gambles seem more like fate. Diesel Café is the beating heart of Davis Square, the faces of its many customers a veritable mural of Somerville’s diversity. It’s the homey joint where neighbors run into each other, the landmark meeting spot, a go-to date spot for students, an office for the work-from-home set — in short, a defining business of Somerville’s signature neighborhood. Park credits Diesel’s success to its emphasis on service and community in an era when social connections are often digital commodities, fleeting and unsatisfying. Along with a handful of nearby fixtures such as Redbones Barbecue, Diesel Café has been a witness to — and a catalyst of — the transformation of Davis Square into a culinary hot spot.